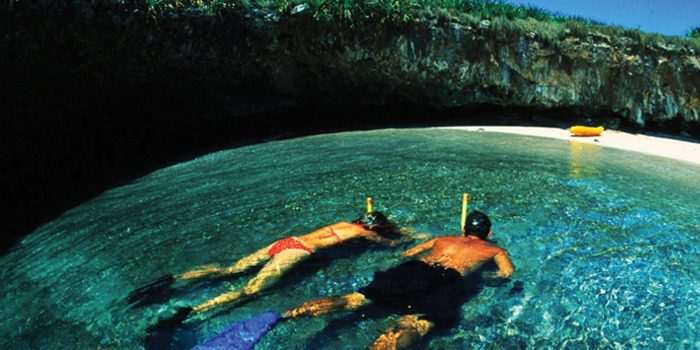 This aquatic adventure will give you the rare opportunity to witness the splendid beauty and bio-diversity on and around the Marietas Islands, a cluster of rocky isles located at the border of the Pacific Ocean in Banderas Bay. Join our naturalist English-speaking guides cruise across the beautiful waters of the Bay. Along the way, we’ll be on the lookout for marine mammals that inhabit this enormous body of water. During the winter, we’ll be looking for humongous humpback whales that migrate to Banderas Bay every winter to spawn, give birth, and nurse their newborn offspring. You may also see a pod of playful dolphins frolicking near the boat. 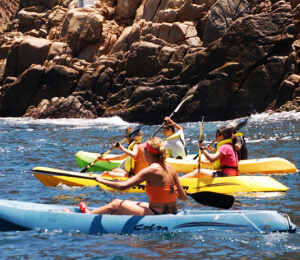 You’ll treasure this chance to witness the natural splendor and diverse aquatic life of the waters near Puerto Vallarta on this fun-filled and enlightening excursion. 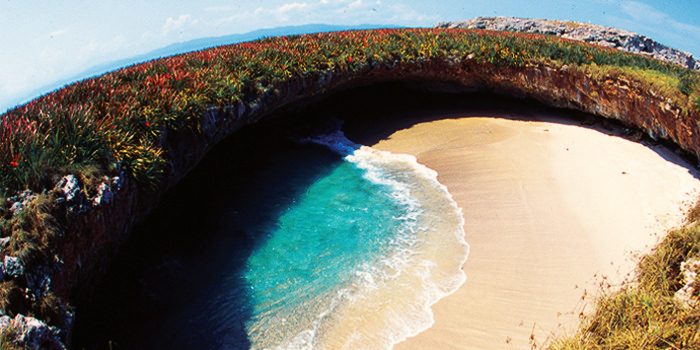 Once we reach Marietas Islands (also known as Tres Marietas), witness some of the rare nesting sea birds that inhabit this island. Tres Marietas is one of the few locations on the globe where the endangered blue-footed boobies nest. 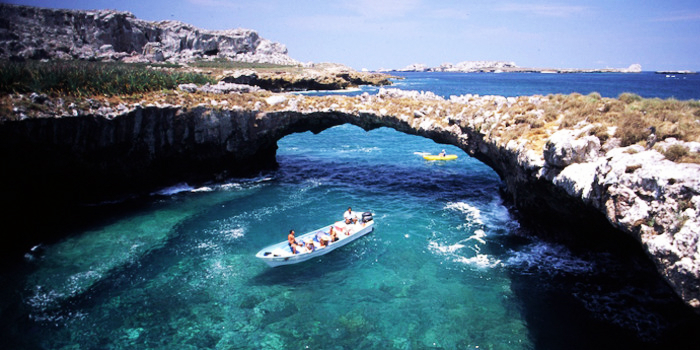 While at Marietas you can sunbathe, kayak along the rocky coastline, or snorkel over a fabulous coral gardens where you will view an array of sea life, including Olive Ridley Turtles, Giant Pacific Mantas, and prismatic tropical fish. And as always, our knowledgeable ecological guides will be pleased to answer any of your questions.